Nick is a graduate of the Australian National University and was awarded a Bachelor of Science in 1991. He also holds a Graduate Diploma of Education from Monash University. As a scientist, Nick has held an interest in environmental matters for many decades, interweaving this with his role as an educator. He has spent most of his life observing nature in his back yard or on adventures into the wilderness. 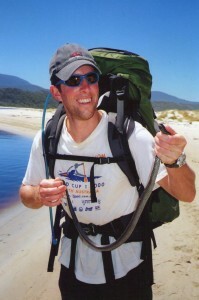 In Autumn 2009 he worked closely with indigenous people in Papua New Guinea, leading a group of students along the Kokoda Track. His sustainable designs are inspired by his scientific understanding of natural systems. Nick has a hands on and passionate approach to all things he is involved in; garden, reducing water, energy and resource use. Doing things smarter is his inspiration.